Wow! Is it Wednesday again already? 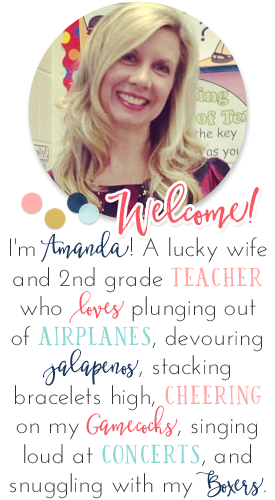 That means it's time to meet another fabulous teacher blogger!! Personal info: I currently live in Georgia, and have been here for 11 years. I was born in Tennessee & grew up in Alabama. I'm a southern mutt, and love it ! :) I went to a tiny university outside of Birmingham and moved to GA the summer after graduation to take a teaching job. There weren't any near home, so I had to take the giant leap and move here. I had never even stayed alone, and I just packed up and moved. It seems crazy looking back on it, but I don't regret it at all! I teach 1st grade, and taught 1 year of Kindergarten. First grade is where my heart is & I love seeing all the growth that happens.When that light turns on for those babies, it's like magic ! This is my 12th year! My first 5 were spent in a school that was so very different from where I grew up. It was in a low socioeconomic area, and the things I saw & encountered during those 5 years really helped me appreciate life and the innocence of being a child - something many of these kids never got to experience. It made me who I am today, that's for sure. After commuting over an hour one way,twice a day, for 5 years,I decided to change districts and got a job just down the road from where I live. It was culture shock, but I absolutely love my school & my kiddies ! Reading & Writing. I got my Masters in 2006 in Reading Instruction, and it's the best subject. It's where you can see the most growth & to inspire a love for reading in children is definitely its own reward! Hopefully, lots of smiles!! We sing, we dance, we laugh...it's so much fun! I'm also a little OCD about organization, so you'd also see a lot of tubs, labels, and usually (fingers crossed on this one) children that are definitely on a schedule and routine.I think kids thrive with structure as long as you keep it fun and make it meaningful. Wow, there are so many!! Does my laminator count?? If it wasn't so heavy, I think I might just carry it with me! 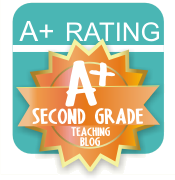 Right now, teaching blogs are the best resource for new & innovative ideas. Also,a great planner . . . and comfy shoes! As far as books,I'm still a huge fan of Mosaic of Thought - great resource for Guided Reading! This is the hardest question, by far. I love my kids to actually MAKE something to help create a memorable connection to what we have learned. This past year, we did a writing unit on Word Choice, and focused on "Said is Dead". We had a memorial service for "Said",and make tombstones with the word SAID on them. (This was at Halloween so it wasn't nearly as morbid as it sounds,I promise!). 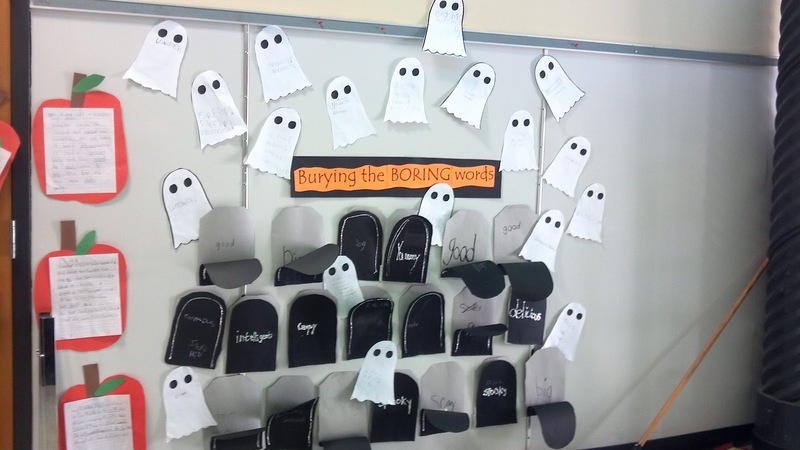 We then created a replica tombstone with alternative ways of saying "said" and stapled them over our "boring" ones.Since it was Halloween, we also made ones that showed other ways of saying "scary" and some other fun words.The "boring" word was underneath the better word choice,which was written in glitter! We also made ghosts with good word choices on them. The kids LOVED it & I had the best year of writing with better word choice :) All through the year at Author's Chair, kids would comment," I used the word 'screamed' to give more detail because Said is Dead!". To continue to get new ideas to use in the classroom. After 12 years, it's always fun to try something new! I also want to start making some products for TPT, but right now, I'm just enjoying getting to "know" other great teachers out there. It's amazing how talented everyone is!! Thanks so much for sharing about yourself, Kelly! A love for reading, structure, routines, the South, and your personal laminator....I think we may have been separated at birth! :) I hope everyone drops by Kelly's blog to explore some of her fabulous posts and to show her some new blogger friend love! I love blogging buddy Wednesdays! 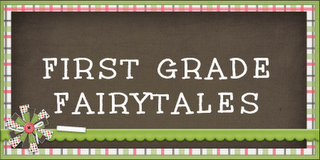 It's so nice that you take the time to showcase new bloggers! 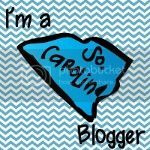 It's been fun getting to know other bloggers out there and finding more blogs to stalk!